Perfect gift! Holds 5 oz. 4" high and made of stainless steel. This 4" high, 5 oz. 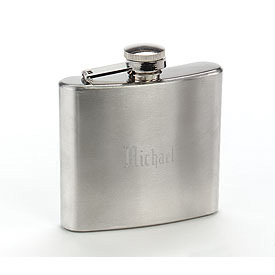 flask is made of stainless steel. Price includes flask and up to two lines of text on one side of the flask.